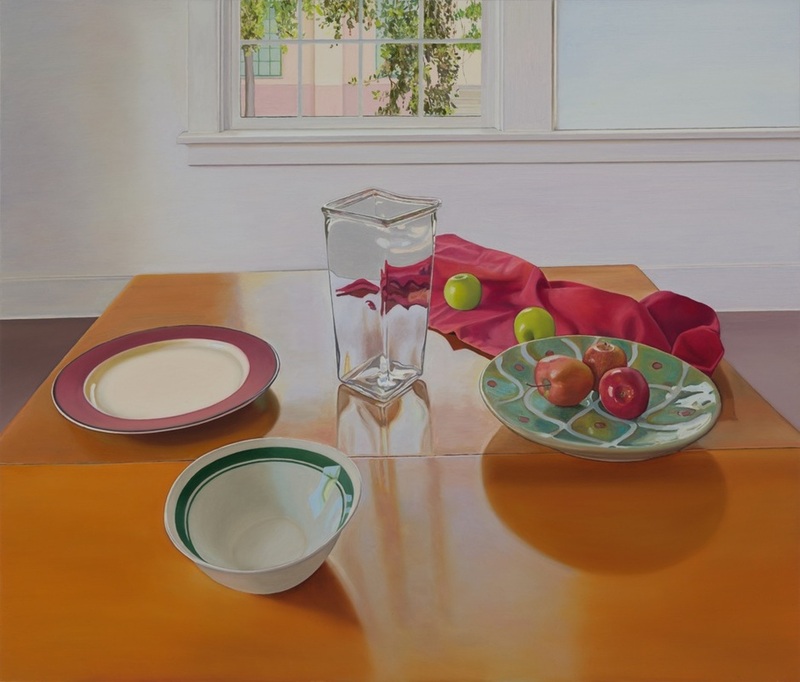 "My paintings, rendered with great economy and focus, and composed with simple structural elements, elicit a quiet, meditative reflection on the essences of light and space. I paint directlty from life, the act of looking being a central component to my method. 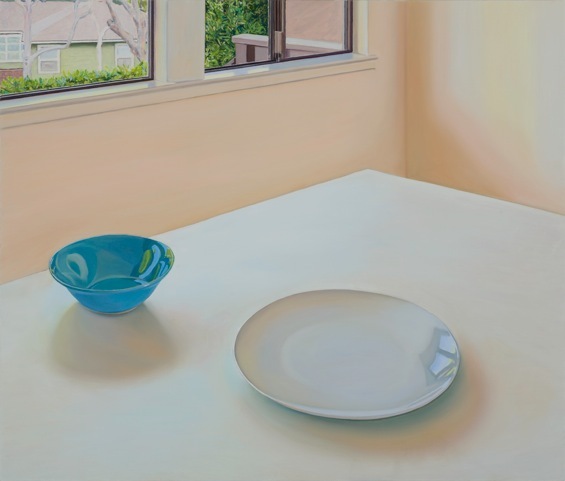 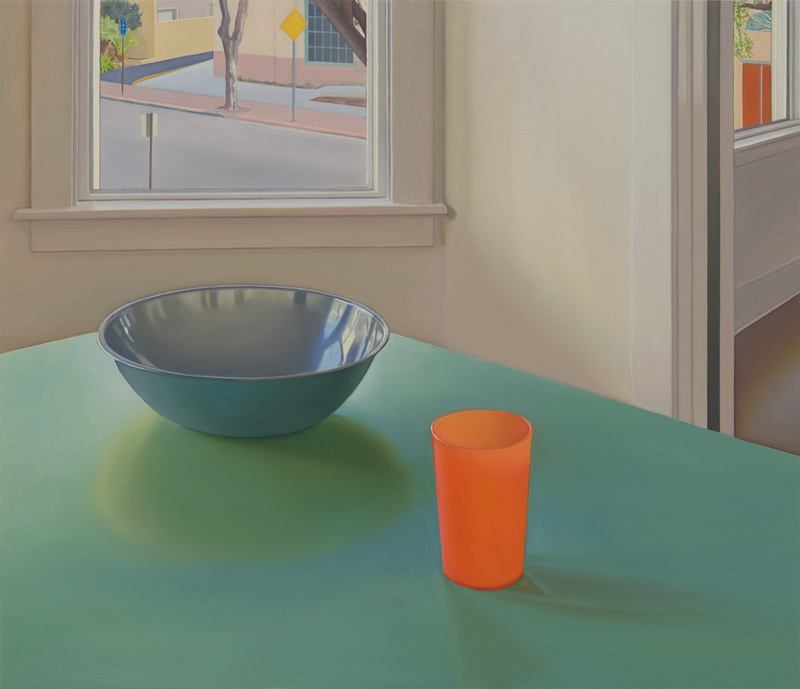 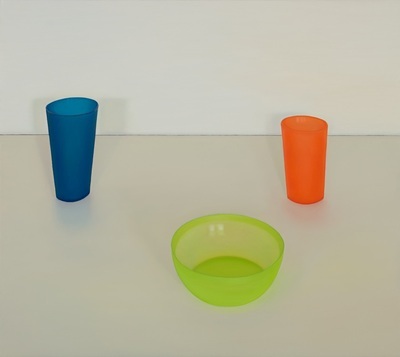 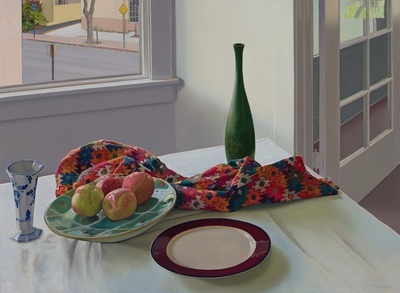 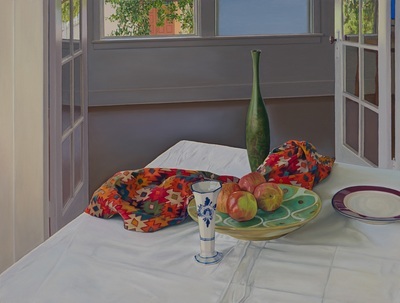 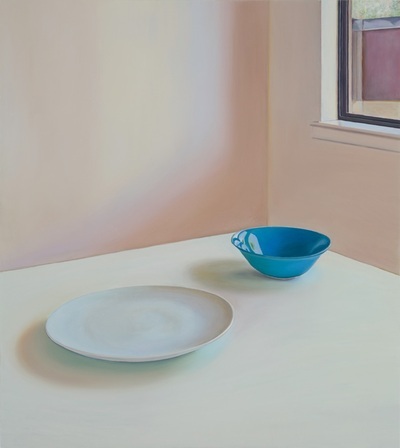 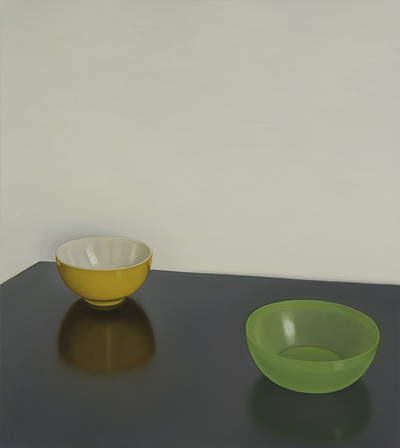 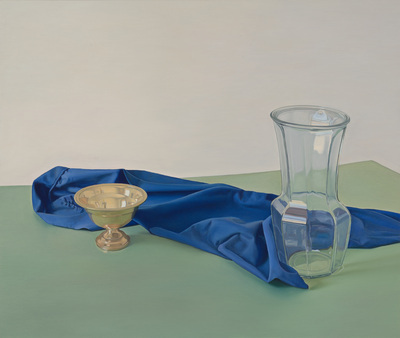 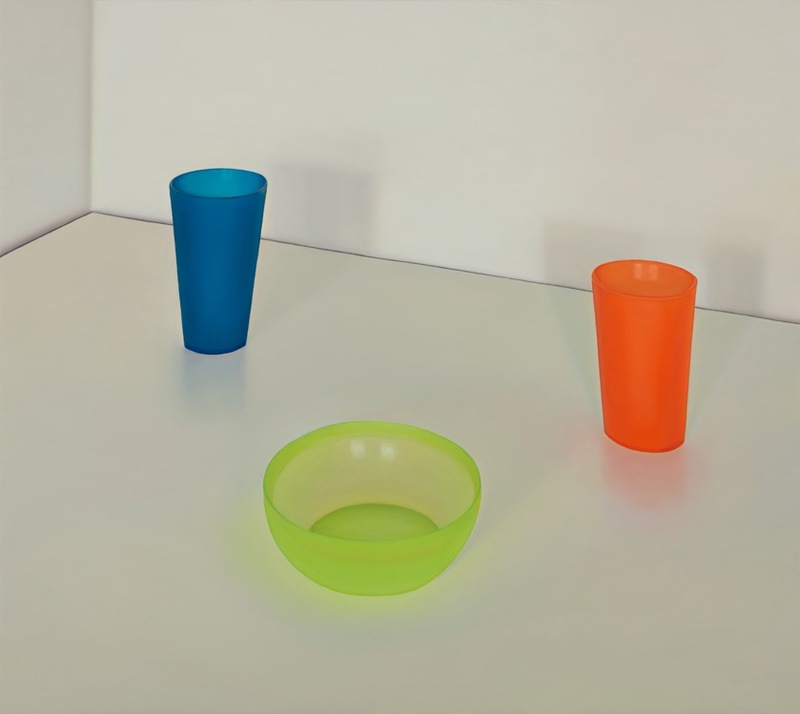 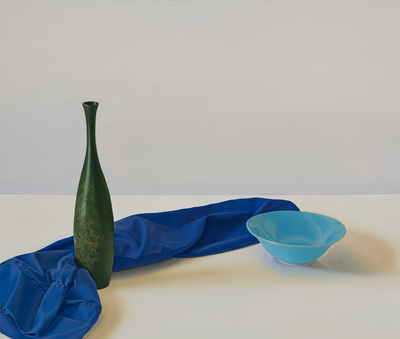 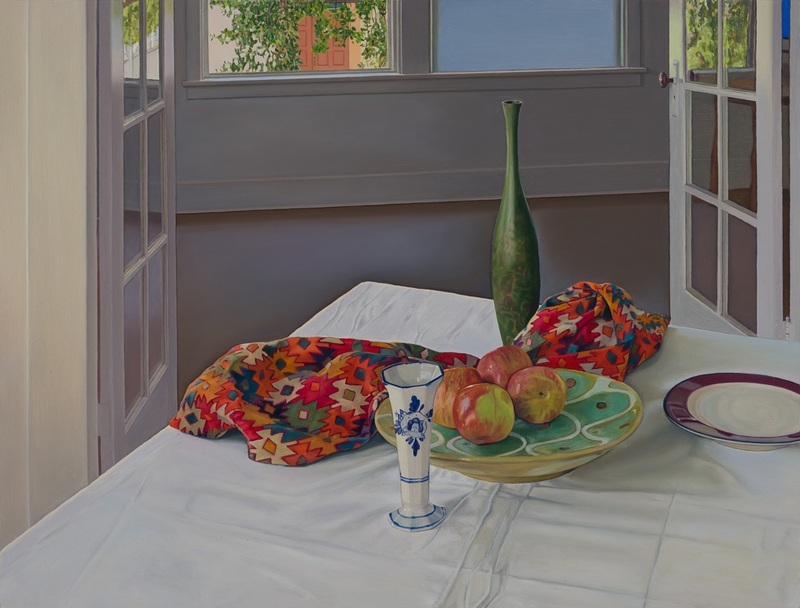 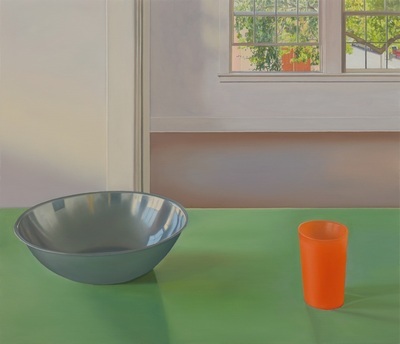 I respond to how light bathes a room and reflects off of various surfaces–walls, windows, and familiar, everyday objects resting on a table–creating a wide range of nuances pulsating with curious energy."